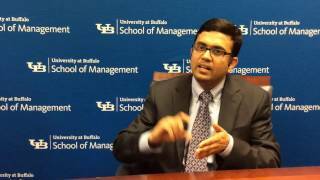 BUFFALO, N.Y. — Charities and nonprofits can increase engagement and revenue by setting suggested donation levels that are appropriate for their donor lists, according to new research by the University at Buffalo School of Management. Published in the Journal of Marketing Research, the research found that setting a low suggested amount increased the total number of donations. Conversely, setting a high default amount increased the average amount donors gave, but resulted in fewer contributions overall. On the other hand, for organizations with a strong set of annual donors, asking for a higher contribution can influence donors to give a little more. Goswami advises nonprofit directors to divide their lists based on donors’ giving history and send targeted messages or hyperlinks with different suggested amounts. Goswami worked with Oleg Urminsky, PhD, professor of marketing at the University of Chicago Booth School of Business, on the study.